Race events support the community’s health by providing an opportunity for fun and engaging cardiovascular exercise and a social opportunity for community members, families, and students to come together. Race sponsorship opportunities and volunteer opportunities are available. GET FIT 52.4 Half Marathon Series …or 65.5 or 78.6! Attention HALF CRAZY RUNNERS!!! Sign up for FOUR Willow Running Half Marathon events with the mail-in GET FIT 52.4 Half Marathon Series Challenge application! One Application- No Processing Fees!! Price includes all registration costs and swag from each individual race plus the GET FIT 52.4 SWAG !!! Four half marathons not enough? Do 65.5 or why not 78.6? Extra 65.5 & 78.6 SWAG with each add’l each race! The Earth Day Half Marathon & 5K has quickly become one of CNY’s most looked forward to springtime races! Along with some of the best swag out there, we celebrate Earth Day by giving all registrants an evergreen tree seedling to plant! The loop course, on low traffic, country roads, has some pretty amazing views of rolling farmland and the lookout at Beaver Lake as well as friendly neighbors that come out to cheer you on! The race start/finish and after party are at the Emmi Farm’s Greenhouse. The 5K is an out & back along two fairly flat stretches of country road. New this year is the Half Marathon Relay Event! Following the race, you will be treated to live music, a Southern Tier beer, hot food and other treats. The Earth Day Half Marathon & 5K event benefits the Syracuse Rescue Mission and other local groups. Race courses that will take runners along country roads and the half marathon course will include a packed dirt trail that will loop in and out of Howland Island (a unit of the Northern Montezuma Wildlife Management Area- about 1/3 of the half marathon race course). New in 2019, a 10K race event, which is why we are excited to now refer to the event as A FESTIVAL OF RACES! This race will benefit the important work and efforts of the Friends of the Montezuma Wetlands Complex. The Friends of the Montezuma Wetlands Complex support habitat restoration & public use at The Montezuma Wetlands Complex in upstate New York. All the race events will take place on established bike (snowmobile in the winter) trails that run between the northeast portion of Old Forge, just north of the Water Safari, and work their way towards Eagle Bay. The trail course is mostly gravel and dirt roads. A true Adirondack experience. Fall foliage is estimated to be around 25% peak. The Finger Lakes Half Marathon & 5K will benefit the Wounded Warriors in Action, a local not-for-profit that serves our nation’s combat -wounded Purple Heart recipients. E-RACE CANCER HALF MARATHON & 5K will again take place in Bridgeport, NY at the peak of autumn foliage season. The road course is extremely flat and will take you along the south side of Oneida Lake, New York State’s largest inland Lake with scenic views of both fall colors and the impressive Lake. After the race there will be a post race festival to celebrate the conclusion of the running event with food, drink, vendors and entertainment. This year the primary race event benefactor will be Cancer Connects a non-profit 501(c)(3) organization that provides programs and services to facilitate the cancer journey for cancer patients throughout Central NY State (http://www.cancerconnects.org/) . 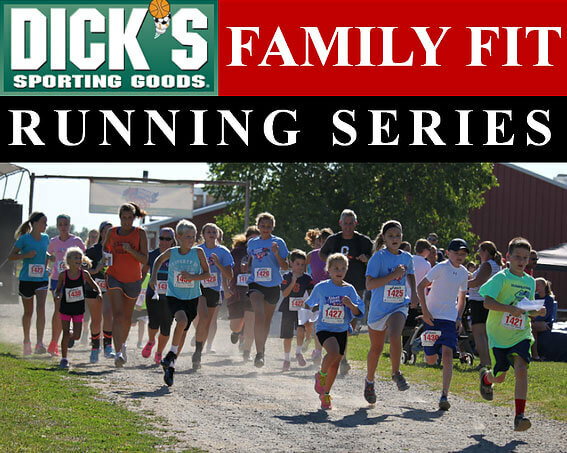 The Family Fit Running Series is a collection of fun and competitive family oriented running/walking events (occurring from spring to fall) encouraging better health, memorable family times and individual achievement. We all run for different reasons why not add “Running for Shortcake” to the list. Presented by Northside Collision, the ShortcaKe 4K to benefit Sunshine Horses will be at Abbott Farms in Baldwinsville, NY and will coincide with strawberry season in CNY. All finishers will receive a fresh strawberry shortcake as a reward for job well done! All entrants will receive a unique custom “I run for Shortcake” race shirt. The race event will benefit Sunshine Horses, an not-for-profit organization helping horses, helping people. Sunshine Horses is an independent agency and rescue facility that rehabilitates, retrains and seeks adoptions for retired Standardbred race horses. A perfect way to finish a challenging summer race- with a CANNONBALL!!! At Casey Park in Auburn, NY to benefit the Auburn YMCA’s Free Swim program. 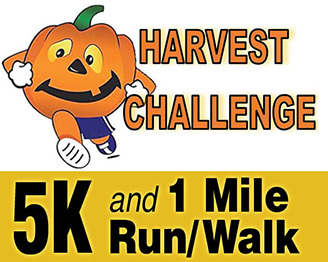 A fun and challenging 5K course on tractor paths through and around the fields at Emmi’s farm. There will also be a 1 mile run for all ages. Run or walk either event. Bring the whole family to participate! Come celebrate the transition from Thanksgiving to the Christmas season with a fun but competitive 5K run and don’t forget to wear your best UGLY sweater! There will be awards for overall winners M/F as well as age group winners.